Experiencing Symptoms Of Altitude Sickness (AMS) Or Looking For Treatment & Prevention Methods? Oxygen Assistant has the answers you’re looking for and the remedy right here. We can deliver it to your home or place of lodging. Call us now if you already know you are needing oxygen, or keep reading to learn more about the symptoms of Mountain Sickness and solutions other than oxygen. See Locations We Serve for the best phone number. More serious symptoms of Acute Mountain Sickness are Vomiting and Diarrhea. Oxygen Assistant is not a medical practice so please call a Doctor if you think you’re dealing with something more serious than Altitude Sickness. If you’re looking for the best remedy for altitude sickness, at Oxygen Assistant we believe it’s Oxygen, and many happy customers using oxygen instead of meds for high altitude sickness treatment or prevention agree. One of the options for treating altitude sickness is a drug with the generic name Acetazolamide. Acetazolamide is commonly used by people doing rapid ascent climbs above 3048 meters (10,000 feet) to reduce the symptoms of altitude sickness. If you prefer altitude sickness medication in the form of a pill to oxygen for some reason, that’s your choice, but I highly recommend you Google Acetazolamide Side Effects so you can fully understand that choice. Ironically the side effects of the drug can be like the symptoms of AMS and even more severe for some people, so ask your Doctor the important questions about it. 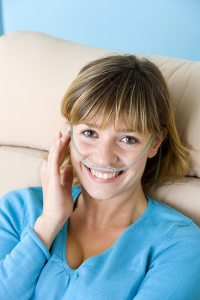 Oxygen is easy to get, and we’ll deliver it directly to your door, whether at home or your place of lodging. 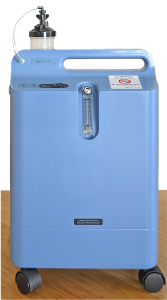 We have both stationary and portable oxygen concentrators so you can benefit from the oxygen while you’re relaxing around your home or other accommodations, or when you’re on the go.